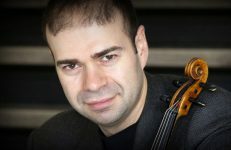 A native of Brooklyn, New York, Bernard Zaslav spent the first two years of his career in the viola section of the Cleveland Orchestra under George Szell, and the rest of the 20th century as violist of the Kohon String Quartet, the Composers String Quartet, the Fine Arts String Quartet, the Vermeer String Quartet, the Stanford String Quartet, and the Zaslav Duo. Within these ensembles he shared the responsibility for commissioning, premiering, and recording new works by some of the most distinguished composers of the era – including Elliot Carter, Milton Babbitt, Ruth Crawford-Seeger, Roger Sessions, William Balcom, and many others. Mr. Zaslav’s discography comprises 134 works of chamber music and have earned enthusiastic acclaim from critics here and abroad, in addition to international awards such as the Grand Prix du Disque of the Academy Charles Cros. Mr. Zaslav has served on the faculties of the University of Wisconsin-Milwaukee, Northern Illinois University, and Stanford University, where he was able to influence hundreds of his students to continue the practice of commissioning, premiering, and recording music by living composers, while treating music by dead composers with equal reverence. On May 3rd of this year, the Bernard Zaslav archive of music and memorabilia became a part of PIVA (Primrose International Viola Archive) at Brigham Young University in Provo, Utah. A truly great honor, Mr. Zaslav’s sheet music and recordings are available there to violists worldwide. We are thrilled to present to you an interview with Ovation Press editor Bernard Zaslav, conducted by Ovation Press co-founder Hans Jensen. 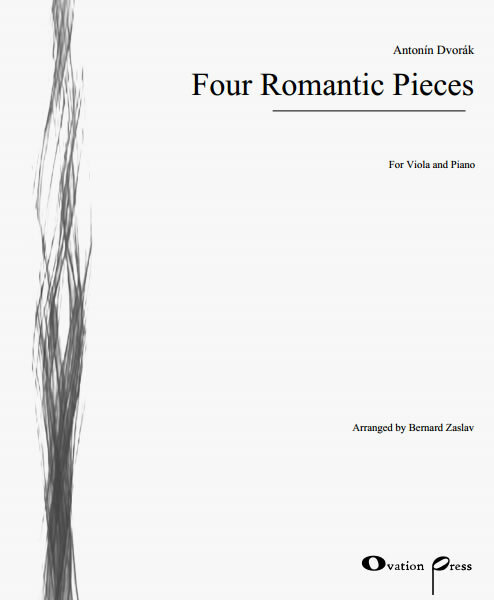 Mr. Zaslav has recently published three arrangements of pieces by Antonín Dvořák, adding to a growing collection of outstanding arrangements for viola and piano published by Ovation Press. Ovation Press: I am delighted to be able to visit and talk with you about a number of important topics. 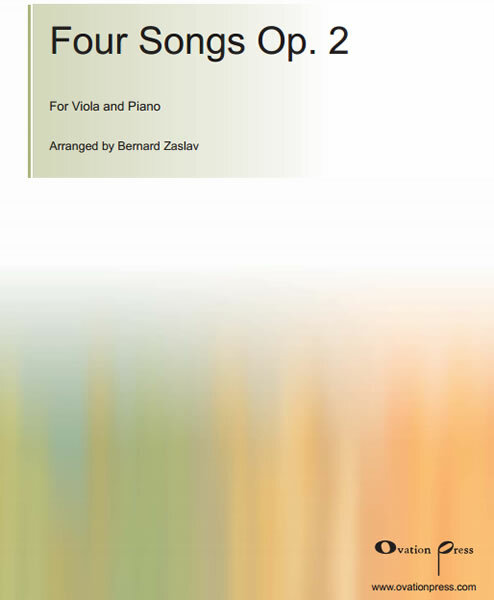 First of all congratulations on your book: The Viola in my Life: An Alto Rhapsody that was published in 2011. The book is wonderful and has received many great reviews. One of your reviewers had this to say about the book: “Who should read this book? If you are a musician of any stripe, you should read this book. Singer, jazzer, pop or classical musician, you name it – there’s something in here for you…” Quite the recommendation! Bernard Zaslav: Well, having my memoir published at all was a stroke of luck. One of my close friends, Dr. Robert Spitzer just happens to own a publishing company called Science and Behavior Books, Inc. I was off and running when he became so enthusiastic about publishing my memoir; he said that he found it to be a happy story rather than another run-of-the-mill tale about overcoming stupendous odds. A major plus was to have it published in hard cover, making it possible to incorporate two CDs of the recorded music from my discography. Ovation Press: What were some of the reasons and inspirations behind writing this book? Bernie Zaslav: My last public performance took place in January of 2004 at Stanford University. I had been invited by the then members of the Fine Arts String Quartet to perform as guest violist in three of Mozart’s incomparable 2-viola quintets. As violist of the Fine Arts (quartet) from 1968 to 1980 I had previously recorded all six of these masterworks for Vox Records in the 1970s. Now, here I was, playing the second viola part onstage for the first time ever. I had retired from my last quartet residency in 1993 as violist of the Stanford String Quartet so that we might be able to record our latest albums of viola/piano works with our Zaslav Duo. I believe, since my performing career was at an end, that the writing of this memoir was basically my means of avoiding depression… after the exhilarating chamber music career that I had been privileged to enjoy for so many decades. Besides stroking my ego I wanted to describe the professional, social, and artistic musical life that flourished in America during the pre-digital age. 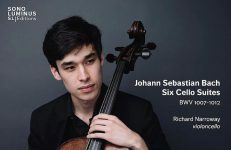 It was a time when a string quartet-in-residence was a university’s crowning glory, a time when the audience for classical music was at its most sophisticated and its most demanding, and a time when the creation and performance of a new piece of music was something to be celebrated. Not a bad way to say goodbye, was it? As for what inspired me, I hark back to a small book entitled, Cinderella No More. These were the words spoken by Lionel Tertis (1876-1975), our earliest and greatest pioneering violist, about his beloved instrument of choice and his life journey to enlarge its repertoire. I happened to attend a viola recital given by Lionel Tertis for New York’s Cello Society – there hadn’t been such a thing as a Viola Society in those days, such was our level of relative invisibility. It was there that I saw (and heard) him sit down while playing a Brahms sonata and a few encores on his huge 1717 Montagnana, always using his favored violin bow. Even so late in his life, the sound – the musical approach, so reminiscent of Caruso and Nellie Melba in its warmth and almost scoopy slides – carried me to a new, yet old place. Lionel Tertis was the first acknowledged viola player to find international fame, with William Primrose and one of my own teachers, Lillian Fuchs to follow in that path. Known both for their commissions of new works and transcriptions of works originally written for other instruments, I have attempted in my own career to follow in their large footsteps, as our instrument continues to emerge from its previous obscurity. Ovation Press: You were first a violinist. What was the inspiration to become a violist? Bernard Zaslav: As I say in the first page of my memoir, I had graduated from Juilliard as a violinist only weeks before I was called to play a summer gig as violist with Raymond Scott’s band onstage at New York’s Paramount in 1946. Unable to escape from my otherwise wasted backstage hours in between playing 4 shows a day, I started to practice this new (to me) instrument and became most attracted to its sound register. Accordingly, I studied the instrument seriously thereafter and found that it suited me as to bow pressure, vibrato, while a whole new literature awaited me. Ovation Press: You have had an incredibly varied experience as a musician: playing in the Cleveland Orchestra under George Szell, being a member of some of the finest string quartets and additionally a vast amount of solo playing. Having had such a broad prospective, how do you feel the music world have changed over the years? Bernard Zaslav: It’s easy enough to decry change, reminiscing about the “good old days.” I believe we are experiencing a renaissance in the public’s understanding and acceptance of our instrument. The proof is that so many fine new talents are now making their careers as violists. Ovation Press: What recommendations do you have for young musicians of today? What is some advice you can give them? Bernard Zaslav: Only that they be aware of musical history, since so many recordings by the greats of our time are still available. To turn an old saying on its ear, it IS possible teach a new dog old tricks. A few excellent violists have confided that they “grew up” while listening to some of my out-of-print LPs. Ovation Press: You have recorded an impressive amount of music over the years with the string quartets that you were a member of. However, with the Zaslav Duo that consists of you and your wife, Canadian-born pianist Naomi Zaslav, you have recorded five CDs including a number of works that you have transcribed for the viola. This includes an entire recording devoted to the music of Antonín Dvorák. What inspired you to do entire recording of music by Dvorák? 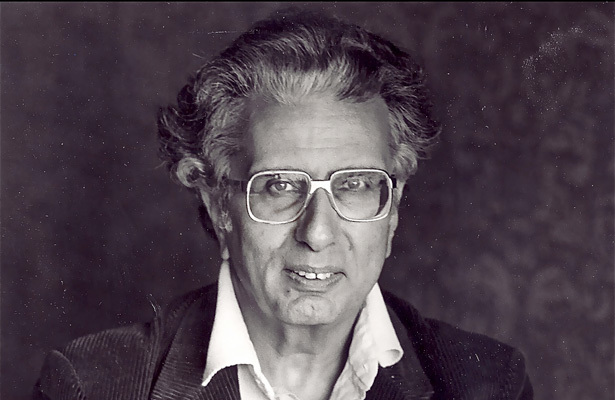 Bernard Zaslav: Here we had one of the most adored of composers, one with an unbounded gift for melody and himself a professional violist, who left us with not a speck of solo repertoire. 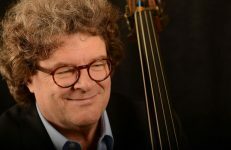 While he wrote so prolifically for every other string instrument – including his delectable variety of chamber music – arranging and recording the album seemed like a no-brainer. If Fritz Kreisler saw fit to arrange two of the Slavonic Dances, even the slow movement of the Op. 100 Sonatina (which he named “Indian Lament”) and perform them as encores in recital, I felt emboldened to try my hand at arranging and recording other works for violin, cello, and voice. Transcribing can be a dangerous game, especially for well-known works. Though the album sold out faster than any of the others (everyone loves Dvorák, right? 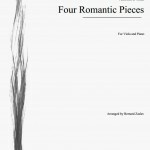 ), a critic in Germany took offense at the very idea: “sacrilege, he claimed!” I’m so happy that Ovation Press will be making these gems available to violists wordwide. Ovation Press: The viola has a wonderful melodic quality but also the possibility of creating a feeling of a warm, deep bass line. Brahms understood all the possibilities that the viola has to offer. However, other great composers of the past did not write a lot of solo music for the viola and thus I can understand your reasons for wanting to augment the viola repertoire by transcribing music from a great composer such as Dvorák. What were some of the issues that you had to deal with when transcribing this music for the viola? Did you do a lot of register changes or did you keep it mostly as how it was originally written? 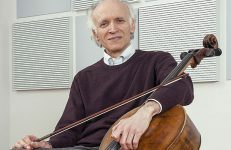 Bernard Zaslav: I was fortunate in that only in a few instances in the Dvorák album did I have to change register for both instruments to make the piece sound properly. For the Cesar Franck sonata I had only to change the viola’s octavation in some spots. 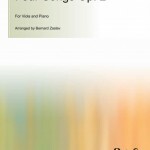 Changing the piano part in such a richly detailed work would make it unlistenable, or even unrecognizable. Ovation Press: What were other issues and potential problems or points of inspiration that you got out of making these transcriptions? Bernard Zaslav: Like a doctor, my aim is to do the least harm to the spirit of the music. I had never played the Franck on violin and after listening to several recorded versions, I knew that keeping the character of each movement had to mean not violating the composer’s intent. The high tessitura of the original violin version infuses the first movement with an ethereal quality. I believe that playing it an octave lower on the viola makes it rather more “earthy,” which is also how I feel about the piece. In the 3rd movement there’s a place where I must climb up on the fingerboard to an A natural (the nosebleed area) in order to keep its intended shape. It was a bit scary to do that but I think it was worth the effort, though it did require a few takes. I also feel that, regardless of the violist’s technical level, there are works better left as the composer intended. And yet… I’ve always wondered how Aaron Copland’s violin/piano sonata, a work I adore, would sound on viola. Should I or shouldn’t I? Ovation Press: You are an active contributor to the viola community on www.viola.com. What is your favorite aspect of communicating with other violists in this forum? 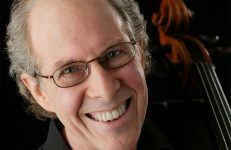 Bernard Zaslav: Just hearing what’s going on in the viola world outside my office is a kick: many interesting questions are asked and answered, opinions freely opined, and tips for beginners are offered. Since I am no longer active as a performer I do enjoy giving a shout-out on subjects on which I have an opinion. I have to repeat what I said previously; we are seeing some very wonderful viola playing happening these days and I find it heartwarming. Just the other day, the violist of one of our finest up-and-coming string quartets visited me. He picked up my Guadagnini copy (the original has now gone on to younger hands) and knocked off some Paganini that blew me away. As for that old saying “Violists are merely failed violinists…” let’s just say I beg to differ! Ovation Press: Thank you so much for all you have done and given to the music world and for the inspiration you provide to the young musicians of tomorrow. Also thank you for doing this interview. Bernard Zaslav: And much thanks for this opportunity to open up to you. We encourage you to check out Mr. Zaslav’s complete listing of editions published by Ovation Press. You can also visit his website and learn more about his book by reading an excerpt to the introduction below. Bernard Zaslav tells the story of his musical life and his travels from the perspective of a musician on the inside-literally, one of the inner voices of a string quartet. From the earliest days of his career he came into close musical and personal contact with iconic musicians, and he describes them and the musical world of the later 20th century with candid honesty, humility, and humor. ← For a Dose of Classical Creativity… Bang on a Can! I met you and Naomi around 1990 when I was spending lots of time with Norman Masonson, remember? At that time you were with the Stanford Quartet. I am living in NYC now (doing research at Mount Sinai) and enjoying it. I wanted to let you know that Norman died in august 2014. i now have his Pt Reyes house. Love to hear from you.